On January 30, Murdoch Jamieson and Guy Robertson added an excellent winter-only line on the Far East Wall of Beinn Eighe. Shiva takes the obvious left-facing corner right of Vishnu. “Guy had tried it many years ago with Pete Macpherson but they bailed due to bad weather,” Murdoch told me. “We climbed it in two big pitches – 40m and 50m. Guy’s first pitch follows some ledges, aiming for an obvious V-groove. This provided some cool climbing with thin feet in places and finishes with an awkward move right at a pinnacle. My pitch follows the obvious corner above. It was very turfy and icy with several steep bulges and a little run out in places. But it had good turf, hooks and ice with a finish up a squeeze chimney. Maybe we are both biased, but we think this is a great addition to the Far East Wall as it will regularly come into condition. The climbing is proper filthy icy mixed! I must admit, I feel a bit empty writing this. Andy was straight on my case the minute I was off the hill after a new route wanting all the info. Its saddens me that I did my usual and let him stew for a bit before I submitted the information. I always enjoyed our chats, and Andy’s knowledge of Beinn Eighe will probably never be matched. 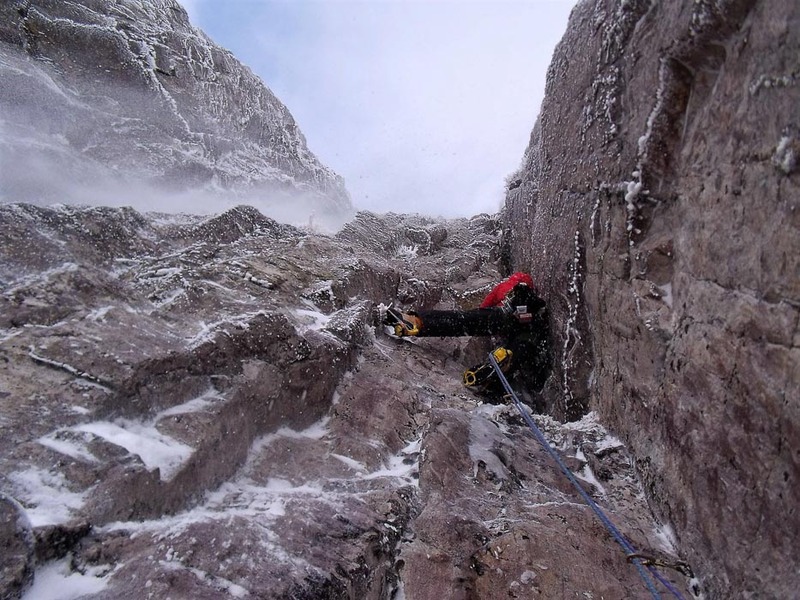 This entry was posted in New Routes and tagged Beinn Eighe, Guy Robertson, Murdoch Jamieson. Bookmark the permalink.